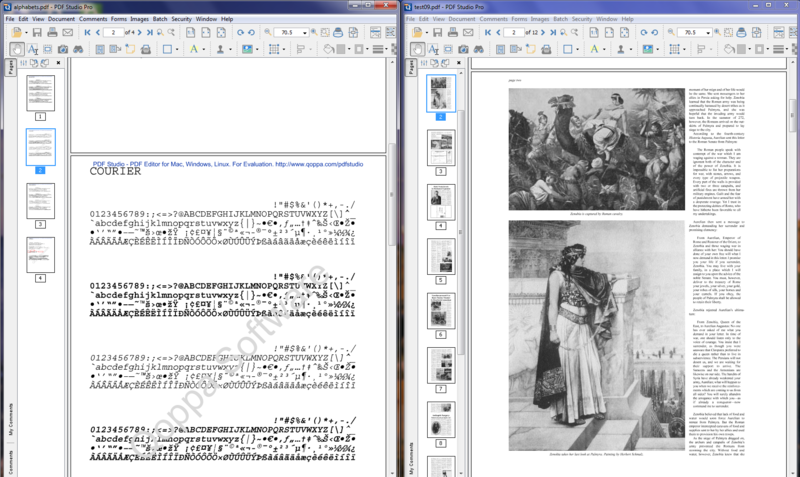 Q: While comparing two PDF documents in the Compare Side by Side Mode, how can I only scroll one document at a time? A: When using the side by side comparison mode, PDF Studio will synchronize the scrolling across both documents. This is one of the great feature of the side by side comparison mode! If you need to scroll through one document independently from the other, you can not use the side by side comparison mode. But you could open the two documents in two different windows and then snap the documents /split the windows to the left and right side of the desktop respectfully.